There will be plenty to talk about at this week’s West Yorkshire Clarets meeting at Hebden Bridge, from the recently ended season to the start of next season and European football at Turf Moor. This month’s meeting is one of the closer ones to Turf Moor with a visit to Hebden Bridge on Thursday and please not that this will be THIS Thursday 24th May and not the last Thursday in the month, this due to local holidays. 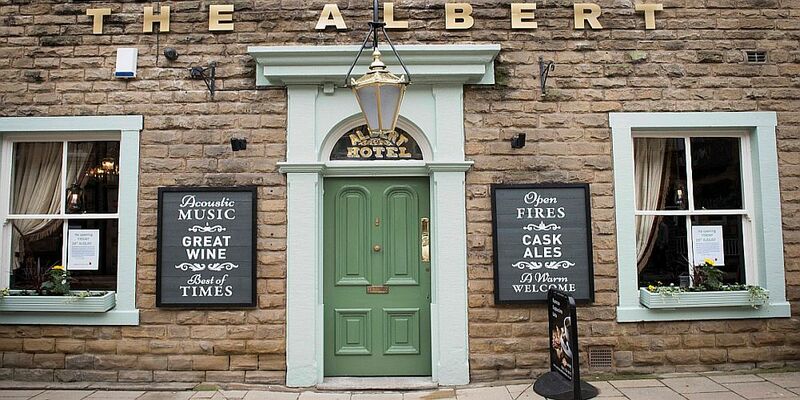 The destination is The Albert and can be found at 1-3 Albert Street, Hebden Bridge, HX7 8AH. It has a fine selection of beers on offer and even a temperance bar for those who can’t be persuaded to try one of the fine real ales on offer. Things will get underway at around 7:30 p.m. and, as always, there will be subs of £2 (£1 unwaged) although this will be waived if it is your first meeting. If you intend going, let them know and they’ll keep an eye out for you. You can also EMAIL West Yorkshire Clarets for more details or should you need any information about the group.